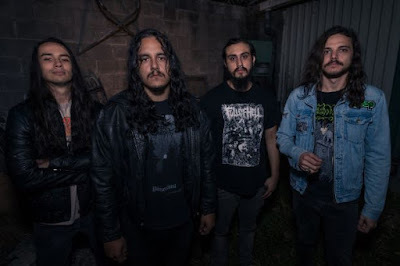 San Francisco atmospheric death metal unit, FALLUJAH, is very pleased to announce their forthcoming new full-length, The Flesh Prevails. The follow-up to 2011’s critically adored The Harvest Wombs and 2013’s subsequent Nomadic EP was mixed, mastered and engineered by sound savior Zack Ohren (Animosity, Suffocation, All Shall Perish) at Sharkbite Studios in Oakland, California, The Flesh Prevails boasts guest appearances from guitarist Christian Muenzner (Obscura, Necrophagist), the chilling voice of Roniit Alkayam and serves as the band’s most intricately arranged, methodically executed and cerebrally consuming offering to date. 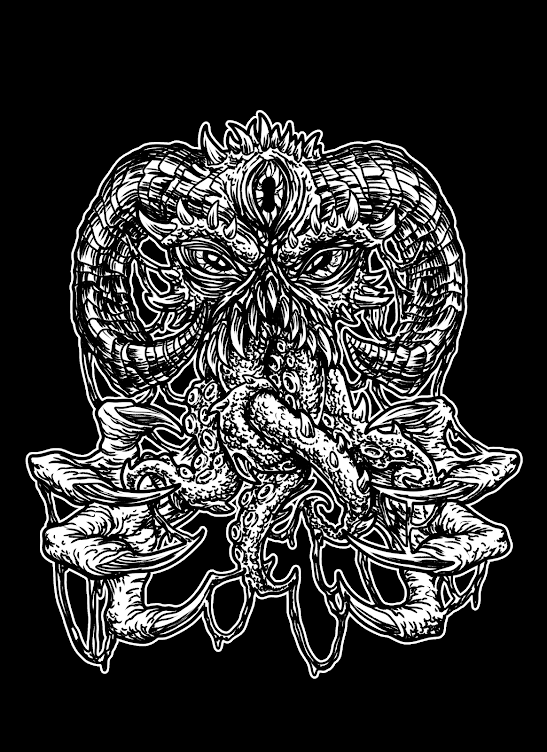 A true master work of progressively tinged, otherworldly death metal. I’ve been trying to write this review for a while now. I really wanted to sit on this album for some time so I could allow it to make an impact, because it’s not easy writing reviews of things that have A; such anticipation/ hype and B: an overwhelming amount of positive reviews so far. As someone who has vicariously witnessed this albums triumphs from the initial album announcement, to final release, I felt it was only fair to give this one an unusually high amount of listens to ensure my fair and honest judgement. Fallujah’s 6th release and second full-length album ‘The Flesh Prevails’ was released July 22nd on Unique Leader Records, a huge player in the extreme metal scene. It is quite the stand out album in death metal, combining elements of the different sub genres within the umbrella of death metal such as melodic and technical death, ambience and a bucket load of slams too, it sound huge and played out all within 42 minutes of insane instrumental work. It surprises and confronts stereotypes in the genre and is generally considered a masterpiece. My experience of the album is this. I listen to albums mostly on my commute to work; this gives me time to listen to albums from beginning to end, sometimes a few times a day. I can honestly say, I can’t remember a specific moment from the whole album. There is not one day I found myself humming along or caught myself singing a little melody later in the day. It’s just that there is so much going on, so many layers, so much technicality and background ambient string bends and synth pads that I found myself trying so hard to find a riff after the introductions that I could hold on too. Maybe it’s just my taste, but with the amount of stuff firing off in all directions it seems to lose something. The drums for one are excruciatingly quiet. This band must have one of the most insane drummers to pull off blast beats that fast, I mean he sounds like he’s about to spontaneously combust, but it’s just such a shame they are so buried in the mix sometimes. If I had to really say whether I liked this album though, I would say yes. It does so much for death metal as a whole and opens a variety of new doors combining elements of shoegaze in a similar way to black metal and ditches the ambience of symphonic music typically used in death metal to the same effect. It have also got that rare combination of having perfectly matched vocals for the style and speed of music. They are rhythmic and embedded into the nutty riff work so well, I cant imagine what a time the lyricist had writing them. All the songs have very similar build up periods to get to their climaxes. It’s not necessarily a bad thing, just something that made me feel again that I couldn’t pick out a defining moment in the album. Musically it uses a scale rarely heard in this kind of music and very little harmonic minor. Harmonic minor is that typical breakdown section thing you hear, but to my ears, this album doesn’t use it nearly enough. I sometimes have moments where I want it to go into something really evil, but it just seems to get more and more dreamy as the songs progress. I feel this album is very much music for musicians, it has so much crazy precise guitar work that all shredders will be left in awe. It is certainly not chaotic, as chaos insinuates disorganisation or a lack of order. The music is sniper precise. It’s their opus, their defining moment in their musical lives. 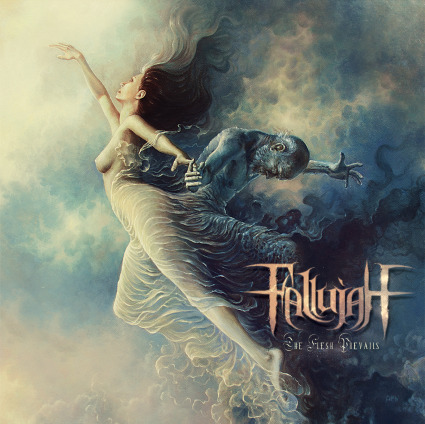 It breaks so many barriers and cements itself so firmly in Fallujah’s career that it can and will be seen by many as one of the best death metal, if not the best metal album as a whole, this year. What remains to be seen now, is what they do with it though. I’m struggling to think of how they can pull it off live without having a massive amount of backing tracks going on. I want to know where they will go from here. Surely writing another album of this magnitude is no easy task, can they pull it off again? ‘The Flesh Prevails’ is already out, go pick yourself up a copy and see what you think. Does it live up to the hype? Thanks for reading Y’all!